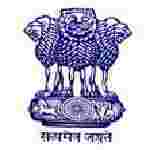 UPSC Combined Defence recruitment 2016-17 apply for 413 vacancies : Union Public service commission (UPSC) welcomes application for the position of 413 combined Defence Services examination 2016 vacancies. Candidates who completed their Degree is a good opportunity.The individuals who are the occupation seekers searching for govt employments in All India this is the best chance to apply. Competitors read the official notification then read all the guidelines and miners precisely then apply before the last date online application got. All the interested and eligible candidates can apply online before 15th July 2016. Candidates Age Limit: The age of the candidate should born not earlier than 2nd July 1993 and later than 1st July 1998. Academic Qualification details: Candidates should have degree from a recognized university or equivalent or should have degree in engineering from a recognized university or equivalent. Details of Fee particulars: All the interested and eligible candidates are need to pay application fee Rs 200/- either by depositing the money in any branch of state bank of India by cash / or by suing net banking facility of the state bank or by using visa card / master card / credit card / debit card. Schedule caste categories candidates / schedule tribe categories candidates / physically handicapped categories candidates who are exempted from payment of application fee. Official website: All the interested and eligible candidates can apply online through official website of union public service commission www.upsconline.nic.in on or before 12th August 2016. Important Dates: Last date for the submission of online application is 12th August 2016. Date of examination is 23rd October 2016.